Losing Steph Curry was unfortunate for the Golden State Warriors. The ankle injury that sidelined Curry happened during their six game road trip, however, they still managed to finish the road trip 6-0. 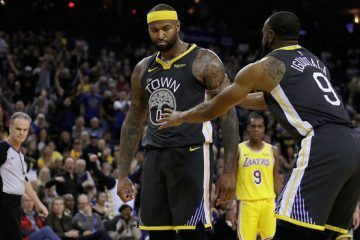 That just comes to show how deep and talented this Warriors team is and it doesn’t hurt that you have another assassin in Kevin Durant to help pick up the slack. 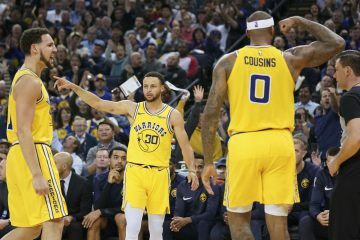 Losing an MVP caliber player like Curry would be devastating to any other team not named the Warriors, but for this squad, it just means they have to try a little harder to get the victory. For Durant, this is something he has been doing all of his career and even with Curry out, he doesn’t have to carry this team because you still have Klay Thompson and Draymond Green who are well equipped to contribute more to the party. In this case, Durant has been leading the way averaging close to a triple double in the last three games, which is why the NBA has named him the NBA Western Conference Player of the Week. 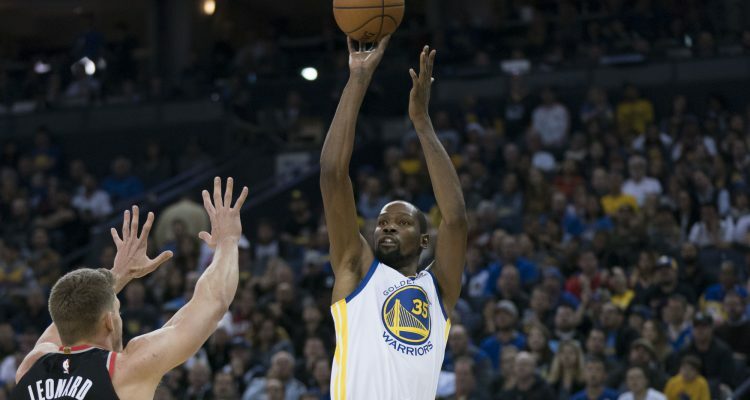 OAKLAND, CA – Golden State Warriors forward Kevin Durant has been named the Week 8 Western Conference Player of the Week, the NBA announced today. 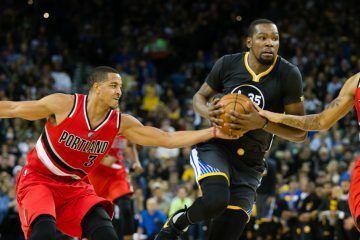 The award is the first Player of the Week honor of the season for Durant and the Warriors, and his 26th overall weekly recognition. Durant led the Warriors to a 3-0 record on the week, capping off a perfect six-game road-trip, and in the process becoming just the 11th team in NBA history to have a 6-0 record on a road-trip. He averaged 30.0 points to go with 9.3 rebounds, 7.3 assists, 1.00 steal and 2.67 blocks in 36.4 minutes per game. The forward recorded his first triple-double of the season (ninth of his career) at Charlotte on Dec. 6, finishing with 35 points 11 rebounds and 10 assists. He joined James Harden as the only players this season to record a triple-double with at least 35 points. 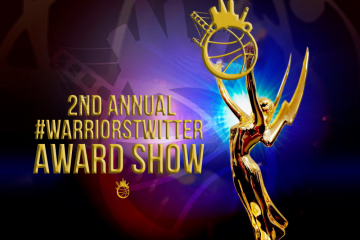 The award marks the 48th time a Warriors player has been named Player of the Week since the NBA began giving out the award in 1979. Indiana’s Victor Oladipo was named Player of the Week in the Eastern Conference.